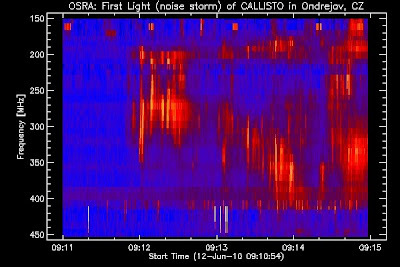 First light at OSRA on June 12th 2010. 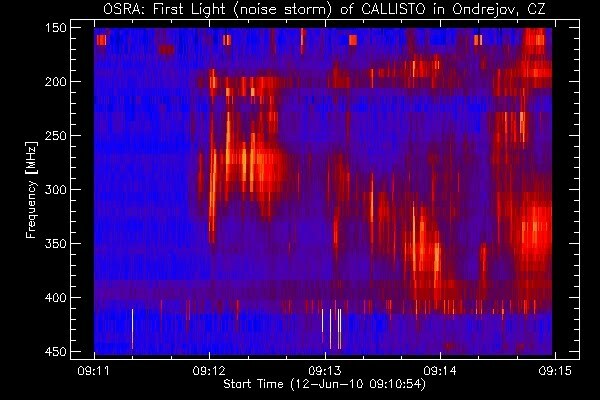 Plot shows a typical noise storm in VHF-band. This type of flare shows strong circular polarization.